For over 15 years, The Choyce Law Firm has been providing exceptional legal service and achieving the best possible results for our clients. We are a local law firm with offices in Fairfield, CA & Sacramento, CA. We limit our practice to four areas of expertise: criminal defense, DUI defense, traffic ticket defense and personal injury. Call our firm at (707) 422-1202 today for a FREE consultation with our experienced attorneys. Whatever legal situation you may be facing, you need a trustworthy and experienced attorneys at The Choyce Law Firm on your side. We are results oriented and have obtained an excellent track record of results for our clients. With over 15 years of experience handling cases in throughout Northern California, we pride ourselves on delivering exceptional legal service no matter what. Whether you’re facing a murder charge or fighting a traffic ticket, the lawyers at The Choyce Law Firm are on your side. We dedicate the time, resources and commitment to treating our clients with utmost respect, dignity and compassion during such a difficult time. Deciding on a Fairfield, CA accident attorney is a big deal but an absolute must if you or someone you love has been injured in an accident. Because personal injury law can be very complex, it’s important you hire an attorney who understands what it takes to win injury cases. We cover all types of personal injury cases such as motorcycle accidents, motor vehicle accidents, slip and fall, brain injury, catastrophic injuries, and wrongful death cases.We represent clients all over Solano County including Fairfield, Vallejo, Vacaville & Dixon. Personal injury cases may take time but we understand the importance of immediate compensation. If you file a claim too late or don’t gather all the evidence you need, you may not recover the full amount you deserve. With our track record of success, you can trust the personal injury lawyers to do whatever it takes to get you the justice you deserve. If you are arrested, we at The Choyce Law Firm know how stressful your situation is. We are equipped to tackle the most complicated cases such as sexual assault, arson, domestic violence, drug crimes, white collar crimes, felonies and misdemeanors. Whether you are accused of a felony or misdemeanor, you may not know where to turn or what to do. Facing any type of criminal charge can alter your life in a variety of ways. You can trust criminal lawyer at The Choyce Law Firm to be by your side. We represent clients in all stages of the criminal process from the pre-arrest investigatory stage to the post conviction litigation and appeals. We put our clients first to maximize the chance of receiving a favorable outcome. Our criminal lawyer provides aggressive defense needed to protect your rights in Fairfield, Vacaville, Dixon and Vallejo, CA. A driving while intoxicated (DWI) or driving under the influence (DUI) charge can happen at any time and to anyone. One slight misjudgment and you could be facing charges with considerable penalties. A DUI charge can result in the loss of your driver’s license, hefty fines, and possible jail time. The consequences are more serious for second and third time convictions. For underage DUI charges the penalties are different but can still have long-term effects on a minor’s life. Given the seriousness of such charges, it’s critical you have an experienced law firm on your side. 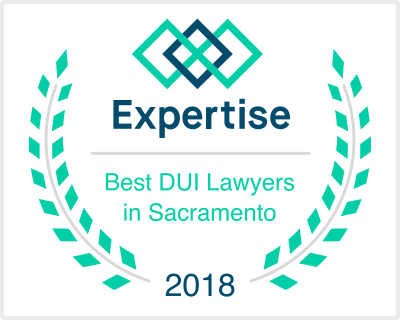 Our DUI lawyers are experienced with Solano County DUI laws and the procedures including the Breathalyzer tests, police reports and investigative work. Our DUI Lawyer provides aggressive defense needed to protect your rights in Fairfield, Vacaville, Dixon and Vallejo, CA. Having a clean traffic record is important for a variety of reasons, especially for commercial truck drivers. When you’re pulled over for a traffic violation many thoughts are running through your head, especially if you believe you didn’t violate any traffic law. When you get a speeding ticket or any other type of traffic ticket, fighting it is the best thing you can do! But going to court to fight a ticket can be a hassle. You might have to take time off work and waste other valuable resources to deal with the long process. It may seem that paying the traffic violation is an easy way out but it’s not the best for your driving record or your wallet. That’s why we challenge such traffic offenses to ensure you keep a clean record. Whatever legal situation you may be facing, it’s important you have trusted traffic ticket lawyers on your side who have the skills, experience and dedication to represent you in court. The Choyce Law Firm has a passionate team committed to you. We fight hard to get the best results and our track record proves it. Give us a call at (707) 422-1202 for a free consultation today. Were you recently injured in an accident? If so, you are likely a candidate for a personal injury case. The first step you should take is to speak to an experienced Fairfield accident attorney who can help you proceed. If you or a loved have been injured due to negligence of another, you need to contact our personal injury attorneys as soon as possible. Call (707) 422-1202 to speak to a Fairfield injury lawyer about your case.